With 2013 coming to a close, it&apos;s finally that special time of year when we pretend to like eggnog, buy a bunch of crap nobody needs, and get to celebrate the "holiday spirit" by rehashing the most pointless, distracting, overtly political, or just unabashedly inane media stories of 2013. 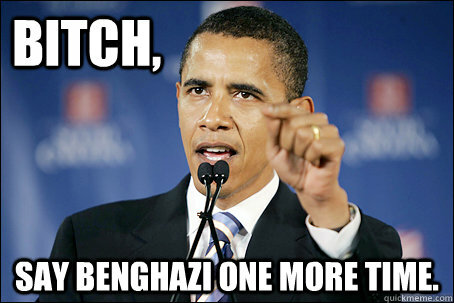 Despite the fact that the attacks happened on the eleventh anniversary of the 9/11 attacks in 2012, the fake "Benghazi scandal" dominated the conservative media landscape in 2013, for months setting the agenda of high-profile Republicans who became obsessed with trying to publicly embarrass members of the Obama administration. Unfortunately, there was no scandal to be had, and the months of inquiries and congressional hearings were utterly pointless. Even the once-respected 60 Minutes was caught up in the spin, airing the ridiculous lies and exaggerations of a habitual self-promoter. Whoops. The Story They Could Have Been Covering Instead: Israeli officials confirmed an earlier report from investigative journalist Gal Gabbay, who revealed that Israeli health officials were giving birth control to Ethiopian Jews without their knowledge or consent. What&apos;s there to say about Twerking besides, "Stop?" Miley Cyrus proved that there is no limit to our media&apos;s ever-burning desire for sensationalized, attractive young women who act in a "scandalous," manner in public. It worked for Madonna in the 80s, and in 2013, it definitely twerked for Miley. And this guy dancing around on Snapchat got 88 million YouTube views, so I guess it worked for him, too. The Story They Could Have Been Covering Instead: The medical charity Medecins Sans Frontieres reports treating 3,600 Syrians for the symptoms of a neurotoxin, evidence of chemical weapons being unleashed against the civilian population. 3. There Was No "IRS Scandal"
After the Benghazi "scandal," the biggest right-wing media freakout was the IRS "witch hunt" of conservative political action groups, which clearly happened at the behest of President Obama. Or not. Of course, the right-wing media machine was not to be dissuaded in making the IRS story the newest Something-gate of Obama&apos;s presidency. The Story They Could Have Been Covering Instead: The real IRS Scandal, which implicates both Democrats and Republicans, and essentially calls to question the whole system of two-party politics in our post-Citizens United world. The media had a great year, so long as we measure their success by the number of jokes they could make about Anthony Weiner&apos;s weird secret identity, "Carlos Danger," or the number of opportunities they were given to refer to Rob Ford as the "Crack Smoking Mayor of Toronto." But when the media focuses so obsessively on these sidebars, they replace real news stories that actually affect people who aren&apos;t paid to obsess over politicians from New York City or Toronto. The Story They Could Have Been Covering Instead: Attorney General Eric Holder directed federal prosecutors to implement sweeping changes to mitigate harsh mandatory minimum sentences, and to decrease the length of excessively long prison terms given to nonviolent drug offenders, signaling a sea change in the federal government&apos;s approach to the tragic and pointless "War On Drugs." As an American with no interest in celebrity gossip, I&apos;ll never understand the widespread obsession with British royalty. But CNN, Fox News, and MSNBC certainly understand it, spending weeks of coverage happily cashing in on one of the most pointless and vapid distractions of 2013: the Royal Baby. The Story They Could Have Been Covering Instead: In October, the Justice Department and FBI launched an investigation into whether or not the world&apos;s biggest banks attempted to manipulate the currency market, according to a report by the International Business Times that was less important than Kate&apos;s baby bump in the mainstream press. Where most would see the Trayvon Martin death as a terrible, senseless tragedy wherein a life was taken unnecessarily, cable news personalities just see an excellent opportunity to turn the killing of a young black boy into a cynical proxy war for the epic struggle between liberals and conservatives in America. Hooray! The Story They Could Have Been Covering Instead: After conducting an internal audit, JP Morgan Chase found that nearly 10% of its debt collection lawsuits had contained errors, further harming the lending giant&apos;s reputation and calling to question its ability to properly regulate itself to prevent illegal activity. 7. Yes, Virginia, There Is a Santa Claus. And He&apos;s Definitely, Totally White. Megyn Kelly has been a punching bag for left-wing media personalities for years, but when she insisted on telling all the kids in America that Santa Claus is, indeed, white, she created a whole firestorm of outrage. The liberal backlash only emboldened her defenders, that subset of the population who take offense at any and all charges of "racism" on their Fox News family, and who feverishly defend Kelly&apos;s constitutional right to be a complete moron on the teevee. The Story They Could Have Been Covering Instead: The conviction of three Wall St. criminals who stole billions from local cities and townships — secured after a decade of work by the Justice Department — was overturned at the beginning of December by a federal judge, proving that the richest and most powerful among us really are Too Big To Jail. 8. 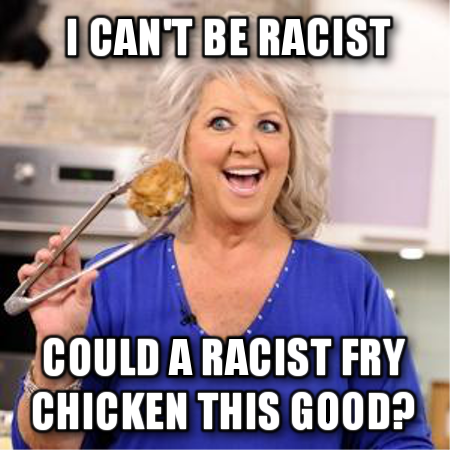 Did Paula Deen Make Some Terribly Racist Comments Twenty Years Ago? Does anyone really care what Paula Deen thinks? If a celebrity&apos;s views are reprehensible in a forest, do they make a sound? What&apos;s the sound of one ignorant white person talking? Public figures who make objectionable, racist remarks should certainly face public backlash, but do we really need to turn every ignorant celebrity&apos;s insensitive comments into an enormous media spectacle? Will pillorying Paula Dean really help to advance the cause of racial justice? The Story They Could Have Been Covering Instead: While the media was framing all of America&apos;s fraught race relations as being embodied by a cable TV chef, the Supreme Court ruled 5-4 against Section 4 of the Voting Rights Act, a key provision for maintaining voting rights in regions with a long history of racial injustice. 9. A Lot of People Wasted Their Time Signing a Petition to Deport Piers Morgan. Only a society completely poisoned by its obsession with gun ownership and gun culture could get 100,000 people to sign a petition to deport a CNN anchor for simply noting we might have too many guns in this country — after twenty young students and six teachers were ruthlessly gunned down at Sandy Hook Elementary, just the latest victims of our spree shooting epidemic. After Piers Morgan noted on live TV that guns are certainly to blame for our plague of senseless killings, a petition to the White House to deport Morgan became the latest plank in our utterly pointless, zero-sum culture war. The Story They Could Have Been Covering Instead: The oldest Swiss bank, Wegelin, was forced to close last January after agreeing to $58 billion in U.S. fines. They had facilitated billions of dollars of tax evasions.